UNITED NATIONS, December 8, updated -- On Cote d'Ivoire as the Security Council inched toward a deal mirroring the ECOWAS statement but not declaring Ouattara the winner, battles were on for who would claim credit. Mexico in morning consultation put forward the ECOWAS solution. But two African Permanent Representative were skeptical. “Not only Mexican,” said one. “We'll take support from anywhere,” the other said, smiling broadly. US Permanent Representative Susan Rice was present for Tuesday's five hour fight, and even Wednesday morning's standoff with a lower level Russian. With a deal approaching she is absent. Cabinet meeting in Washington was the reason given. Who would read a belatedly agreed to press statement for the US? Another Ambassador. Inner City Press directly asked Russian Deputy Permanent Representative Konstantin Dolgov if he would agree to “mirror ECOWAS.” He replied, “You are ahead of the Security Council!” We'll see. Update of 5:15 pm -- the Security Council has taken a 15 minute break to print a new version, with sources saying a deal is near. Gabon's Ambassador, to whom Inner City Press asked about Mexico's role, said instead, “Russian contribution!” We still see a positive contribution by Mexico's PR Heller, who will be missed along with Austria's Ambassador on the Council once the countries leave in December. But will the Cote d'Ivoire deal be done this evening? UK's Lyall Grant has left. At UN on Cote D'Ivoire, Russia Remains Firm, Sends Note Taker, Test for Rice? UNITED NATIONS, December 8, updated -- On Cote d'Ivoire, after Security Council president Susan Rice and Russian Deputy Permanent Representative Konstantin Dolgov debated for five hours on Tuesday, on Wednesday Russia sent a much lower ranked official to the Council's consultations, described as a Second Secretary. Whether a belated Press Statement by the UN Security Council would be the determinant in Laurent “le Boulanger” Gbagbo leaving is dubious. But Russia's unmoved position is noteworthy. Across First Avenue in the US Mission on Tuesday, State Department spokesman PJ Crowley bragged to foreign correspondents about what the US was accomplishing in the Security Council about Cote d'Ivoire. But what is being accomplished? Watch this site. Footnotes: Inner City Press has also learned that Secretary General Ban Ki-moon took part in an emergency meeting with the UN Deparment of Safety & Security on December 4 about UNOIC and his close ally, Choi Young-jin. The range of telephone calls Ban may have made to buttress Choi's position is not yet known. Update of 12:53 p.m. -- the Russian diplomat characterized by her Western Security Council counterparties as a “note taker” is in fact an “expert,” for example on Guinea-Bissau. At Wednesday's noon briefing, Inner City Press asked UN Secretariat spokesman Martin Nesirky if the lack of any correction below Council President Rice's final statement in Tuesday's open meeting meant that the Secretariat had denied Russia's request. 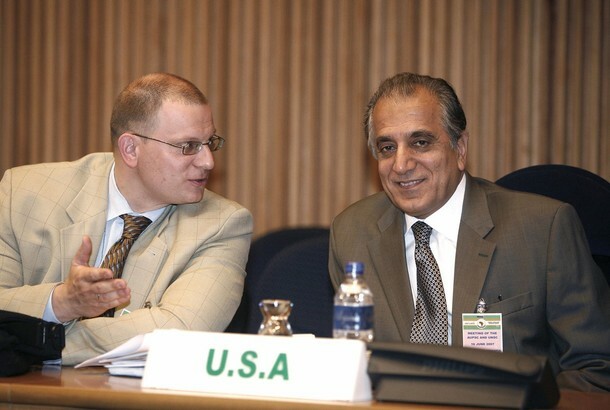 Ask the Americans, Nesirky again said, then after being pressed added that he will see if Security Council Affairs has any more to say. Watch this site. UNITED NATIONS, December 7 -- US Ambassador to the UN Susan Rice on Tuesday accused Russia of “quibbling with resolutions” on Cote d'Ivoire which it had voted for, and responded to Russia's demand for a “correction” of her statement that the presence in the Security Council of diplomats selected by Laurent Gbagbo did not “endorse or refute the results of the election” which the Electoral Commission and UN envoy Y.J. Choi say Gbagbo lost. Russian Deputy Permanent Representative Konstantin Dolgov earlier told Inner City Press that Rice had not been authorized by his country, and therefore not by the Council, to speak on the legitimacy of the Cote d'Ivoire diplomats in the Council, characterizing Rice's as a political and not a legal statement. Inner City Press asked Rice to respond, as she entered the Council for continued consultation on Cote d'Ivoire and the recent ECOWAS statement (and decision to suspend Cote d'Ivoire from the group.) Rice first said, “You heard from Russia, they can speak for themselves.” After being Pressed, Rice continued that “What I said was completely neutral and non judgmental. Will the record in fact be corrected in some way, as Russia requested? Dolgov told Inner City Press he was checking with Russia's lawyers. Watch this site. Footnote: what is not known is why Rice and the US Mission have not spoken out or called for a Council meeting about first the 10 SPLM soldiers killed last week -- Inner City Press' request for comment remains unresponded to -- and now the SPLM's call for a Security Council investigation into Khartoum's continued bombing of Western Bahr al Ghazal State. Watch this site. 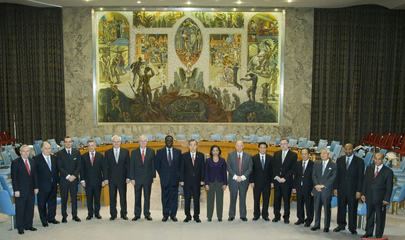 UNITED NATIONS, December 7 -- On Cote d'Ivoire, “Mr. 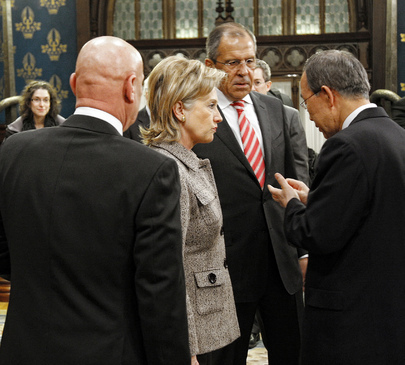 Choi went beyond his mandate,” Russia's Deputy Permanent Representative Konstantin Dolgov told the Press on Tuesday. He said the UN was to certify results, not name a winner. Dolgov said that in closed door consultations, appearing by video from the ECOWAS meeting in Abuja, Mr. Choi acknowledged as much. Some wonder if Russia's open critique of Choi Young-jin, a close ally of Secretary General Ban Ki-moon, might have some bearing on Russia's needed support for a second term as S-G for Mr. Ban. Inner City Press asked Dolgov about Russia's objection, first reported by Inner City Press, to US Ambassador Susan Rice's statement in the open meeting that the presence in the chamber of Cote d'Ivoire diplomats named by Laurent Gbagbo did not imply that they were legitimate representatives of their country. 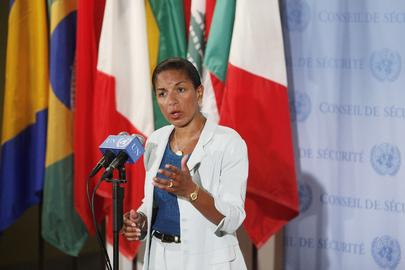 Dolgov confirmed that Russia has asked for a correction of Ambassador Rice's statement. Inner City Press told Dolgov that the US Mission told it that no correction was needed, even that no procedure exists for such a correction. The Council suspended its meeting at 1pm on Tuesday, to be picked up at 3 to consider the ECOWAS statement. Dolgov when asked by Inner City Press mentioned a forthcoming African Union meeting, to which Thabo Mbeki will report. Another African diplomat corrected Inner City Press when it called ECOWAS a regional organization. “A SUB regional organization,” he said with a smile. Watch this site.